Could you say ‘senator’ instead of ‘ma’am? It’s just a thing. I worked so hard to get that title. I’d appreciate it. I would not run for president. I really like what I’m doing now. People say I’m giving them energy and hope. I would love to see a march on Washington that says ‘Save our Social Security’. Law enforcement officers are never ‘off duty.’ They are dedicated public servants who are sworn to protect public safety at any time and place that the peace is threatened. They need all the help that they can get. If you don’t move to protect copyright, if you don’t move to protect our children, it’s not going to sit well. If we turn our back on the people of this country who need to work for a living, we shouldn’t be here, to be honest, because that has to be an essential part of what we do to protect the country, from the standpoint of defense, protect workers and make sure they have jobs. President Bush in his inaugural address talked about bringing freedom to countries that don’t have it. He didn’t specify how. 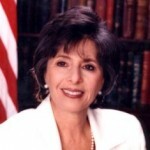 Barbara Levy Boxer is the junior United States Senator from California. A member of the Democratic Party, she previously served in the U.S. House of Representatives 1983–1993. She was elected to the United States House of Representatives in 1982, representing California District 6. She sat on the House Armed Services Committee, and was involved in government oversight, passing several procurement reforms. Boxer won the 1992 election for the U.S. Senate. She holds the record for the most popular votes in any U.S. Senate election in history, having received 6.96 million votes in her 2004 re-election. Boxer is the chair of the Environment and Public Works Committee and the chair of the Select Committee on Ethics, making her the only senator to preside over two committees simultaneously. She is also the Democratic Chief Deputy Whip. She is currently twenty-third in seniority in the United States Senate. In 2012 she and other bipartisan group of six senators introduced a resolution condemning Moscow for aiding Syrian President Bashar al-Assad's government as the country faced civil war.